GE Intelligent Platforms has recently announced the release of its new Durus Plus controllers. The Durus Plus is a complete controller with built-in I/O, control and operator interface. It is a low-end controller featuring RTD, analog out, four-function math, PID and the Modbus Master/Slave communications. 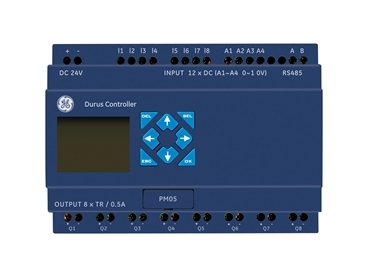 The Durus controller builds upon GE’s existing line of controllers and is designed to take on the industrial environment with standard features like a built-in Operator Interface, a wide range of communications options, expansion slots, and a solid slide-and-snap mechanical interlock to expansion modules.